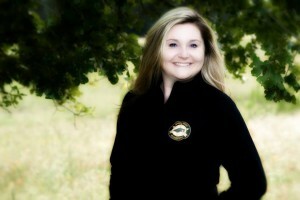 Ms. Angie Fennen is the Interim Executive Director for the Green Beret Foundation. Her primary mission is to support Programs and Services specifically developed to advocate for the Special Forces Community. She has been an essential part the GBF Headquarters Staff since 2011. Angie has several years’ of experience supporting the rear detachment during numerous combat and training deployments, such as Operation Iraqi Freedom (OIF), Operation Enduring Freedom (OEF), KFOR 7, JCETs and National and Joint Training Center deployments. Angie’s focus has always been on ensuring the home front for the Green Beret, soldiers and their families is in order, so the soldier forward can focus on their mission. As a dedicated military wife since 2001, Angie understands the importance of having a strong support system. Angie is an experienced professional who balances a demanding corporate and military lifestyle. She has successfully created growth and operational successes while serving as liaison for service members and their families while caring for her own family. On a daily basis Angie mentors Green Berets and their families by providing information and raising awareness on current and developing programs such a Casualty Care, Next Ridgeline, The Steel Magnolias, support to Gold Star Families and other military and Veteran Affairs programs and services. Angie’s main goal continues to be to provide support to the community and uphold the values of the Green Beret Foundation.